I work in Max, a visual programming environment. For more information, visit Cycling74.com. Most of the work I do is related to my personal performance needs or created for others as a consultant. However, I will post the occasional patch here that may be of general interest. If you use them, please let me know, I’m always curious what people do with these patches. Please send comments from the contact page, and if you want to thank me, consider purchasing one of my albums that feature the patches. In particular: The Desert Fathers, Endless Pie and KaiBorg. If you wish to contact me about this software, please use the Contact page linked here. 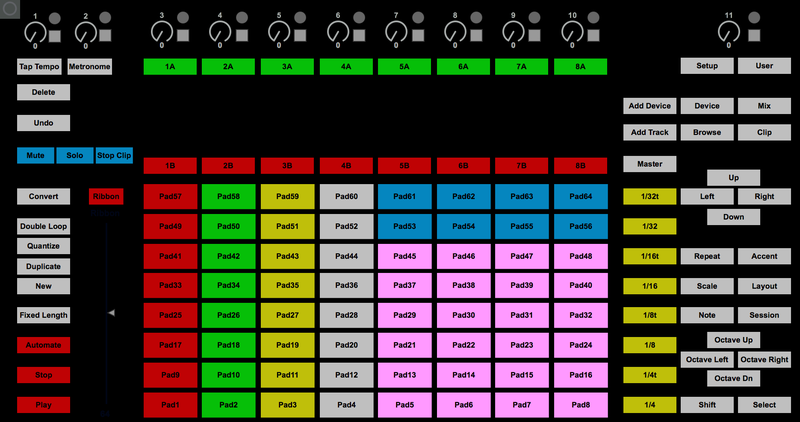 Native abstractions for Ableton Push 2. Requires Max 7 and Push 2. Updated 8 July 2018. These are made to be used in Max, not in Ableton Live. Also included: live-exclude. A simple abstraction used to exclude live objects from autopattr. People who use Windows may need to change the midi port assignment in jk.pushcore. Sometimes when cranking the rotaries really fast, there might be a very minor glitch. I’ve tried variations using |counter|, but currently prefer |accum|, if you have other ideas, please let me know. There is a Max object for purchase out there that allows you to use the screen, but I’m looking for a free options. So, currently, no screen access here. I’ve been using the following method to use an expression pedal in Max *without* MIDI for quite a while, with an early version in my paper How I Lost 150 lbs. thanks to Max/MSP! So thought I would share the newer version I am using as this question comes up regularly. If you are a Max user, the below is copy/compressed code, so, just copy and paste it into a new patcher. Comments are in the patch. Native abstractions for the Softstep, requires Max 6 or 7. Minor updates 7 July 2018. See notes for beta1 below. This version adds switching between synchronous and asynchronous sampling and a few other things. It also incorporates the new Softstep patches. Requires Max 7.01 or later, and will run fully functioning in demo mode. My original asynchronous looper built in Max MSP. Lots of fun. Uses all Max standard objects to generate I-Ching hexagrams using the three coin method. Includes the hexagram number, images with changing lines, and images without changing lines. 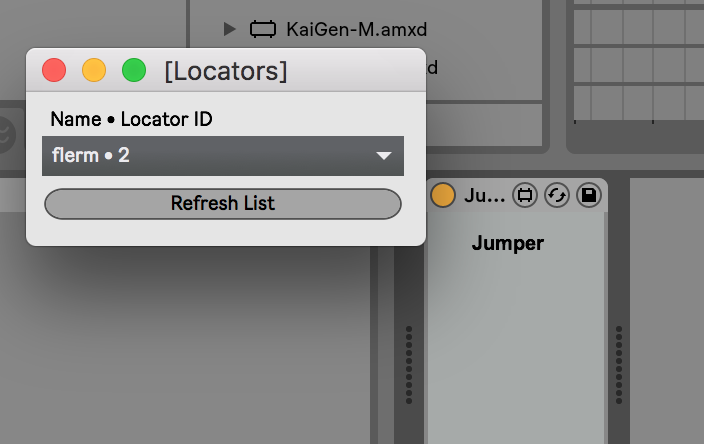 Creates a floating window in Ableton that lets you quickly navigate to your Locators. Just add the device to a Live MIDI track and the menu window will appear. Note: after you add Locators hit “Refresh List” to add them to the menu. Also: Added MIDI through so it can just drop in any MIDI track.